Parts are available for this mask. Save money and order just the parts you need. The Fisher & Pakel Zest Q nasal mask is small, quiet, and effortless to fit and use. The Zest Q nasal mask offers superb comfort quietness with it's innovative design. Advanced Air Diffuser design ensures minimal noise. The Easy-Clip Silicone Seal allows one-step connection or removal for quick and effortless cleaning. Stretchgear Headgear is breathable, maximizes comfort and minimizes facial pressure during head movement. Fully assembled for a complete and simple Out of Box Solution. Because of a change in policy of my CPAP suppy company I started looking for an alternative supplier and headgear for my CPAP system. 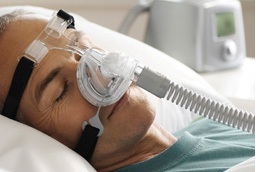 To replace my ResMed Mirage FX I chose the Fisher Paykel Zest Q mask and found it to be a perfect choice. The mask came promptly from "BestCPAPprice". Must less hassle than dealing with my machine supplier & insurance. The price was right and I'm sleeping great. I have used Fisher & Paykel products before and they are great . However with out seeing this one , I purchased one that is too large and can't make it seal good to my face , it leaks sometimes bad. I wished I had bought the next size smaller.